NTU Visual Arts Society News Blog: Are you ready for ARTS FIESTA 2013? Are you ready for ARTS FIESTA 2013? Apart from that, learn about the history and evolution of manga art styles on our displays. Or take a peek into the quirky pop culture of the Land of the Rising Sun. Be amazed as our dance and live band dazzle you with their performances on Wednesday, the 30th of January. 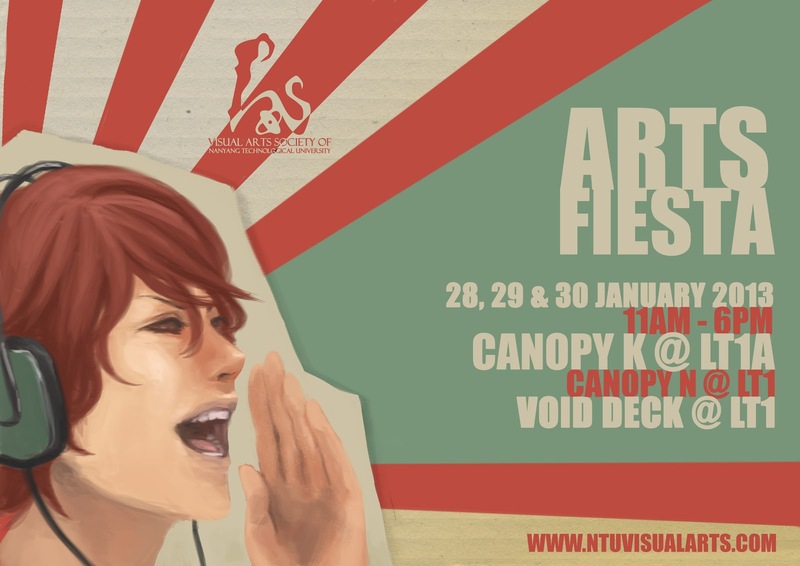 There is always something for everything down at the ARTS FIESTA, over at Canopy K.